Philosophers since the time of Descartes and Locke have struggled to comprehend the nature of consciousness and pin down its essential properties. Issues of concern in the philosophy of consciousness include whether the concept is fundamentally valid; whether consciousness can ever be explained mechanistically; whether non-human consciousness exists and if so how it can be recognized; how consciousness relates to language; whether consciousness can be understood in a way that does not require a dualistic distinction between mental and physical states or properties; and whether it may ever be possible for computing machines like computers or robots to be conscious. At one time consciousness was viewed with skepticism by many scientists, but in recent years it has become a significant topic of research in psychology and neuroscience. 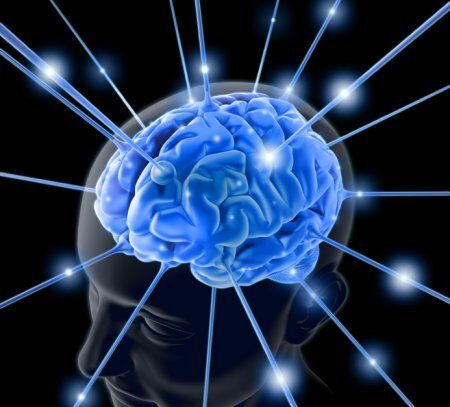 The primary focus is on understanding what it means biologically and psychologically for information to be present in consciousness—that is, on determining the neural and psychological correlates of consciousness. The majority of experimental studies assess consciousness by asking human subjects for a verbal report of their experiences (e.g., “tell me if you notice anything when I do this”). Issues of interest include phenomena such as subliminal perception, blindsight, denial of impairment, and altered states of consciousness produced by psychoactive drugs or spiritual or meditative techniques. In medicine, consciousness is assessed by observing a patient’s arousal and responsiveness, and can be seen as a continuum of states ranging from full alertness and comprehension, through disorientation, delirium, loss of meaningful communication, and finally loss of movement in response to painful stimuli. Issues of practical concern include how the presence of consciousness can be assessed in severely ill, comatose, or anesthetized people, and how to treat conditions in which consciousness is impaired or disrupted. The Wikipedia article defines consciousness as the quality or state of being aware of an external object or something within oneself. It has been defined as: sentience, awareness, subjectivity, the ability to experience or to feel, wakefulness, having a sense of selfhood, and the executive control system of the mind. A “philosophical zombie” would be a person who is physically alive but who lacks any experience of sentience, awareness, subjectivity, feeling, wakefulness, selfhood and executive control. Such a person would be a kind of automaton. While one hopes that there are not philosophical zombies walking around on the streets, one may sometimes get the impression, particularly in visiting large cities where life can feel impersonal and persons anonymous, that one survives by going onto automatic pilot. Have you ever travelled in the New York subways? Have you strolled down Hollywood and Vine? Actually, my recollection of that experience in the years I lived in Hollywood, California was one of observing more “borderline personalities” and “psychotics” than “philosophical zombies.” In any case it is worth asking what is the difference between diminished consciousness, “normal consciousness” and heighten or expanded consciousness. Some people would say that the “normal consciousness” associated with “consensual reality” is itself a form of illusion. I’ll leave that to the philosophers and metaphysicians. Such speculations aside, some people do seem to be more sentient, perceptive, affective, empathic, introspective, intuitive, awake, aware, conscious, reflective and reflexive than others? How do we account for this phenomena? Is our western late-capitalist technocratic society excessively extraverted to the neglect of inner states of consciousness? What price do we pay individually and collectively for our fixation on the outer world and our neglect of the inner world? Human consciousness includes both an awareness of the inner world and the outer world. Some people seem to live almost entirely in the outer world, while some people seem to live almost entirely in the inner world? What are the perils and pitfalls of allowing either the outer world or the inner world to entirely dominate our consciousness? What kinds of natural, historical, intentional, behavioral, cultural and social phenomena need to included in our sphere of awareness and engagement?